If you are a current member of OCTM and are unable to select this option, please log into this site via the "Log In" link at the upper right. If you are unable to log in, please contact the OCTM Online Membership Manager at membership@ohioctm.org . This is a one day registration for current members. If you are a current member of OCTM and are unable to select this option, please log into this site via the "Log In" link at the upper right. If you are unable to log in, please contact the OCTM Online Membership Manager at membership@ohioctm.org . This registration includes a 1-year membership in the Ohio Council of Teachers of Mathematics. You will be asked to provide the name and e-mail address of a professor or advisor who can confirm your student status. There is no registration fee for administrators to attend the conference. Please be sure to enter your school and role in the registration form to specify your administrative status. In the session proposal form, you were asked to identify one speaker whose conference registration fee would be waived. Only this person (if a current OCTM member) should be registered using this option. In the event that this person is no longer able to present, please contact Thomas Roberts, program chair, at otrober@bgsu.edu , AND Jonathan Bostic, registration chair, at 2019octmregistration@ohioctm.org to make a replacement. In the session proposal form, you were asked to identify one speaker whose conference registration fee would be waived. Only this person (if not a current OCTM member) should be registered using this option. This fee will include a 1-year membership. In the event that this person is no longer able to present, please contact Thomas Roberts, program chair, at otrober@bgsu.edu , AND Jonathan Bostic, registration chair, at 2019octmregistration@ohioctm.org to make a replacement. Vendors who are also speakers should register as conference participants using this option. Select this option if you are ATTENDING THE AWARDS LUNCHEON ONLY, whether an awardee or a guest. There will be no conference fee, but you MUST FILL OUT AWARDS LUNCHEON information in the next part of this form. Each awardee and one guest attend the luncheon for free; for all others, the cost is $25, which will be added when you complete the registration. If you are attending with an awardee, you may want to find out whether the awardee is already securing a ticket for you. ALL participants, speakers, and administrators MUST register in order to enter the conference. Those only attending the awards banquet should use this form to purchase tickets if an awardee is not doing so for you. Please do not create a second registration record to reserve luncheon tickets if you have already registered for the conference. Instead, contact Mark Jaffee at mark.jaffee@ohioctm.org . We are excited to welcome you at the conference! WHEN YOU CLICK THE "REGISTER" BUTTON AT THE LOWER LEFT, YOU WILL BEGIN THE REGISTRATION PROCESS. Please see the various registration options before you begin. 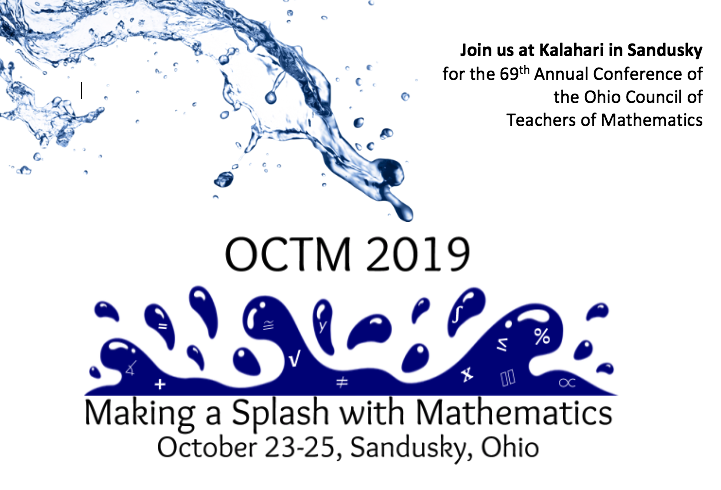 *If you need to amend or cancel your registration (including awards luncheon reservations), please contact Mark Jaffee (Annual Conference Coordinator and Exhibits Chair) (mark.jaffee@ohioctm.org). Please do not create a second registration through this site. If your registration will be paid with a purchase order, you do not need the purchase order number to register online. In the payment screen, choose the "Invoice me" option. Then, you will receive an invoice (by e-mail) that you can forward to your institution. If you are not ready to register or have questions about registration or other aspects of the conference, please return to the main event page for the conference at this link. If you are only attending the Awards Luncheon on Thursday (Oct. 24) and are purchasing your own ticket (an awardee is not purchasing it for you), you will still use this registration form (option "o") -- you will be asked to enter your contact information, and then you will be able to purchase your luncheon ticket. You will not be asked to register for the conference. Please contact Julie Roth at jaroth@scs-k12.net with questions. We are glad that you will be joining us in Sandusky!